No wonder that diversified job opportunities, high growth rate, lucrative packages makes full stack developer as one of the most in demand jobs. Which city pays the most for my experience? How much salary I should offer to hire a full stack developer? This report is fed with real and live salary data from a sample of 50,000 users at CutShort. Our effort is to not only help you with your market worth but also with negotiating salaries and planning your professional future. As established earlier, the tech capital of India i.e. Bengaluru has no competition in mid and high level experience range. 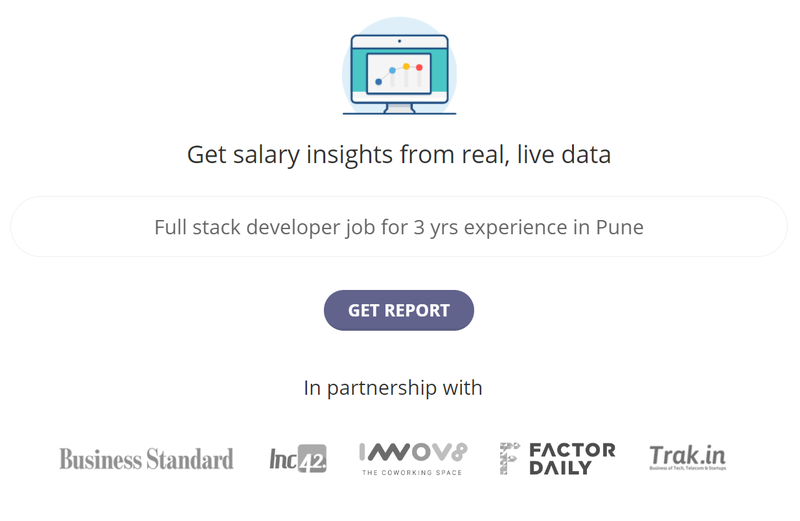 Pune offers least to entry level full stack developers and Delhi pays least to experienced professionals. 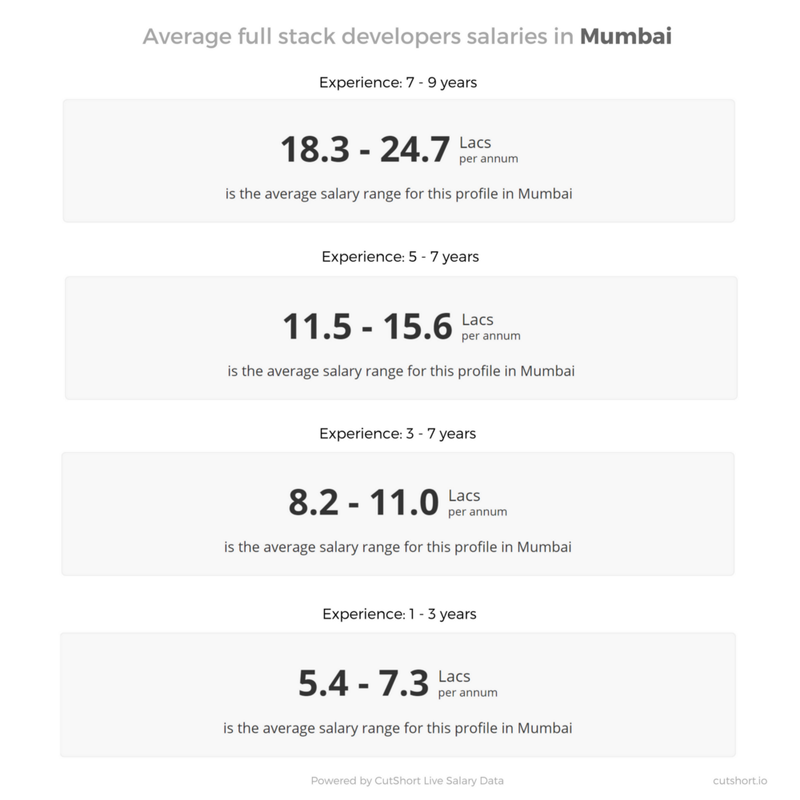 Mumbai comes 3rd when it comes to paying full stack developers with experience less than 5 years. 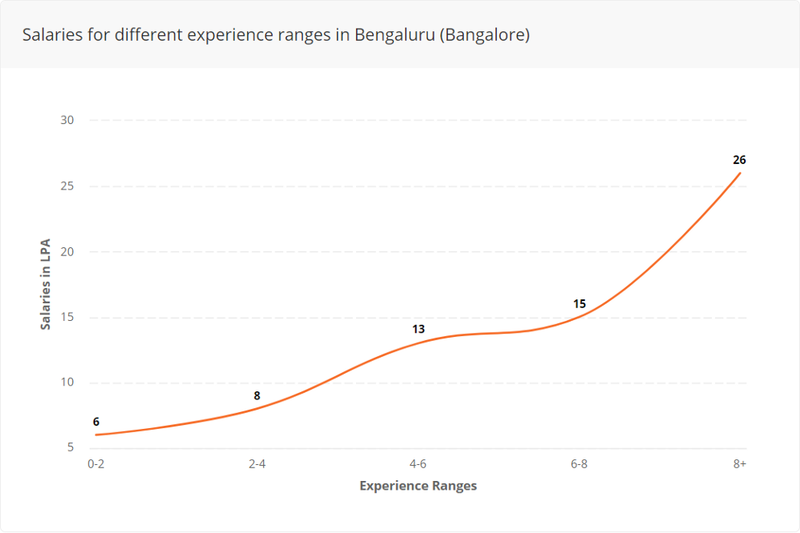 But for high experience professionals, Mumbai is just behind Bengaluru with average salary range of ₹18.3 Lpa- ₹24.7 Lpa for 7 to 9 years of work experience. Salaries for high experienced professionals looks to be at par with the cost of living in Mumbai. 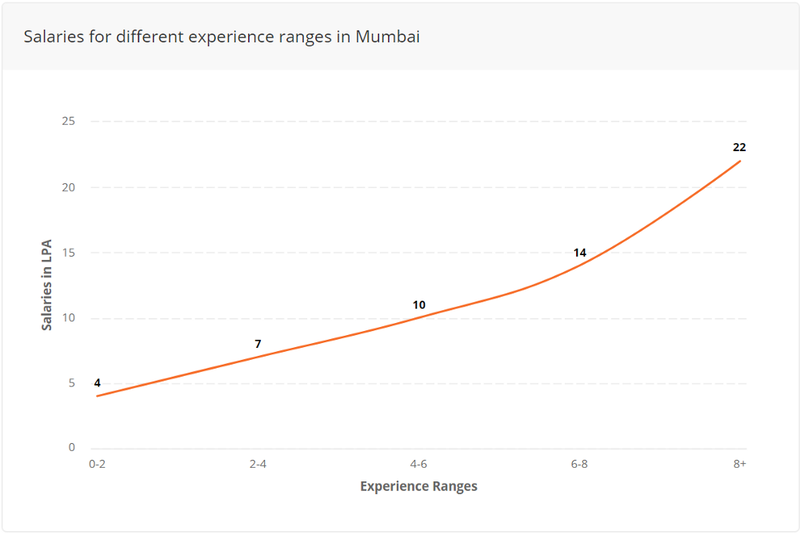 But for entry level professionals, looking at typical expenses in Mumbai, it’s quite low. 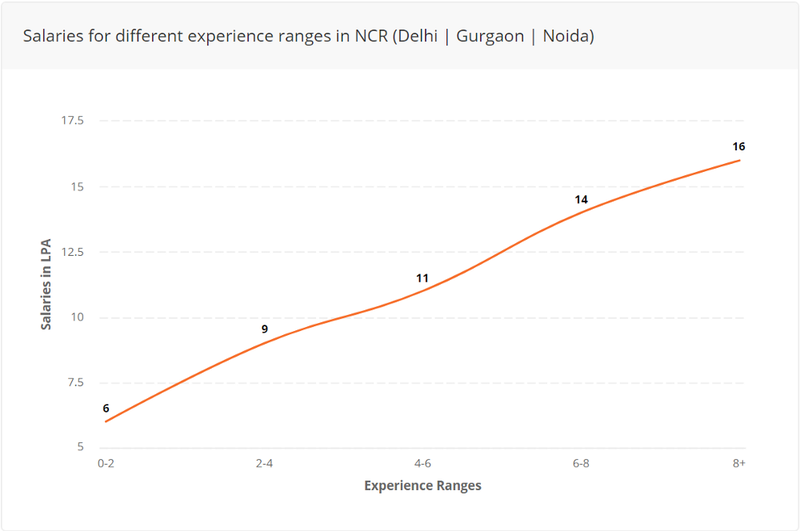 When it comes to Delhi, the average salary range for entry level and mid level full stack developers are highest in India. 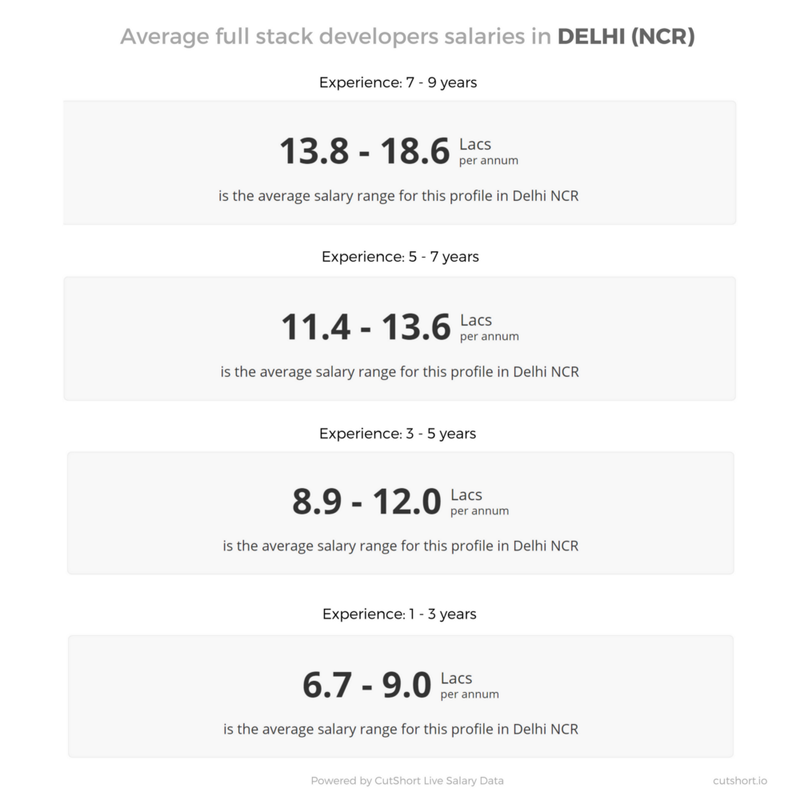 Surprisingly, the average salary range for high experienced full stack developers in Delhi is lowest among all 4 cities. 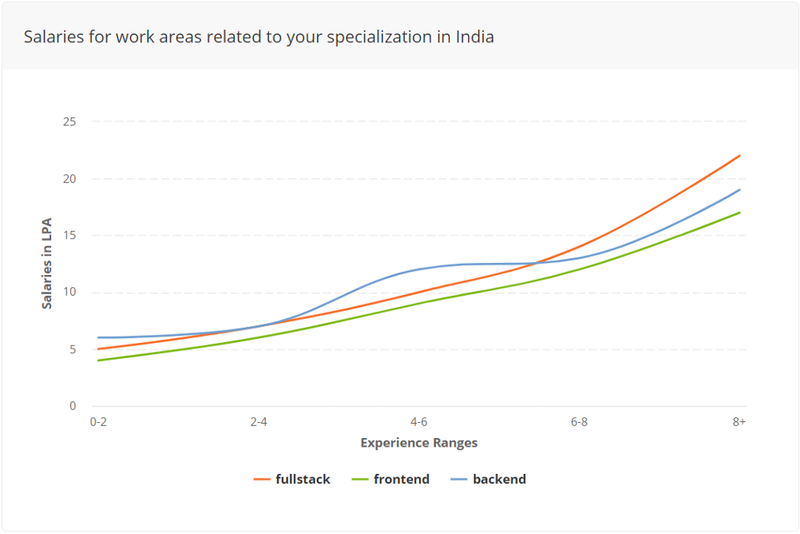 Salary patterns for full stack developers in Delhi are exactly opposite to what we observed in Mumbai. Average salary range for freshers is at par with the cost of living in Delhi. While for experienced professionals it’s quite low and salary growth rate actually decreases with increasing experience in Delhi. For full stack developers, Bengaluru clearly emerged as the top paying city in India. While for freshers, Bengaluru is just behind Delhi with average salary range being ₹6.2 Lpa- ₹8.4 Lpa. Bengaluru bags the top spot when it comes to paying mid level and high level experienced full stack developer. 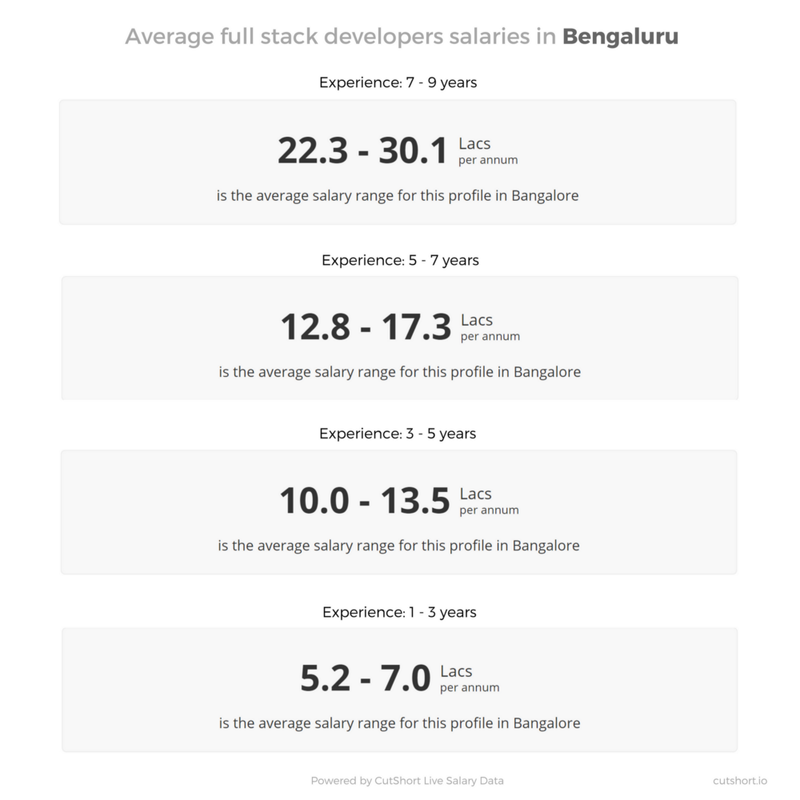 Unlike Delhi & Mumbai, salaries offered in Bengaluru to full stack developers is at par with the cost of living in the city. 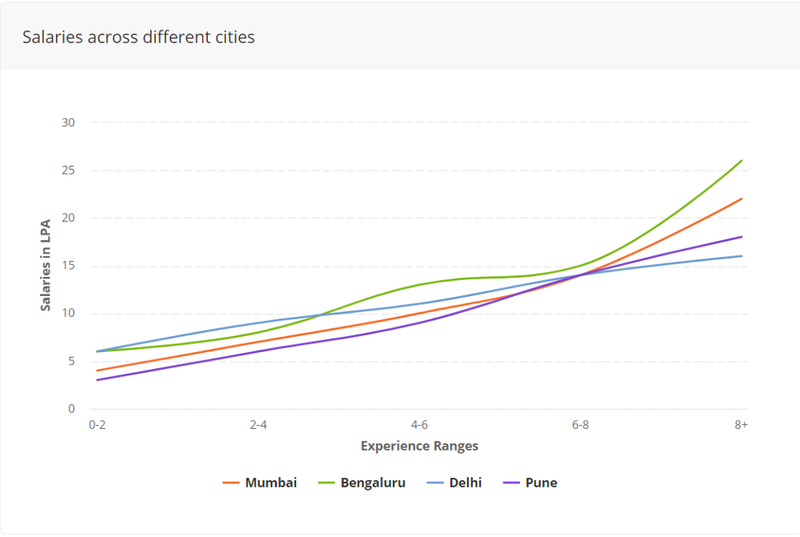 While for all experience levels, Bengaluru offers highest salaries as compared to other cities. 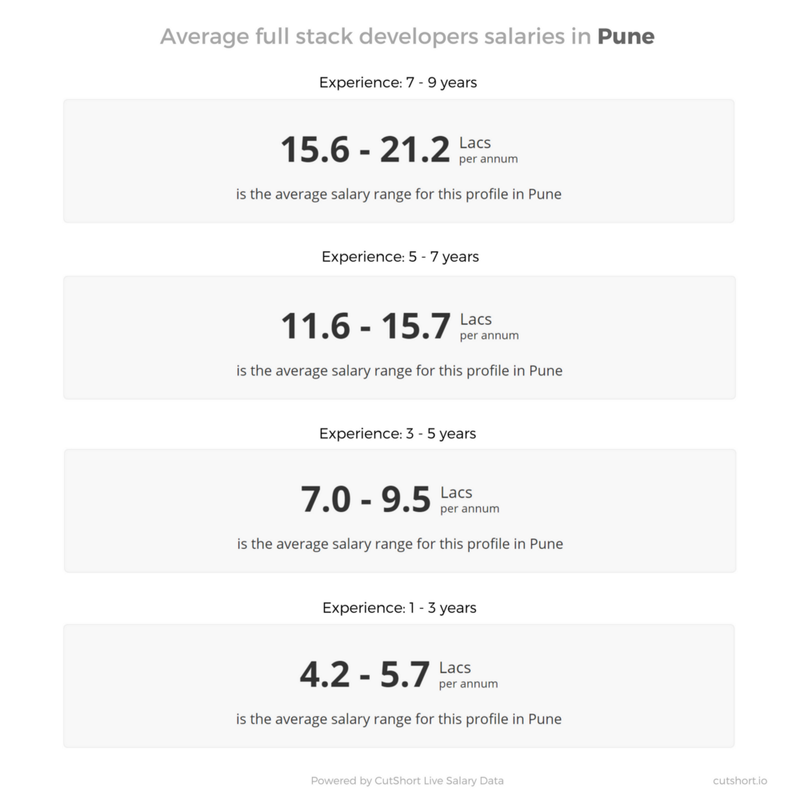 Average salary range of entry level full stack developers in Pune is lowest when compared to other cities. But for experienced professionals Pune bags 3rd spot with salaries offered higher than Delhi & lesser than Bengaluru & Mumbai. Salaries for entry level full stack developers are almost cut to cut with the cost of living in Pune. But for mid level & experienced professionals, it’s quite decent as cost of living in Pune is lowest amongst all. Clearly full stack developers get higher salaries at higher experience but at entry level & mid level Backend developers get higher salaries. While Frontend developers salaries remains flat low throughout all experience ranges. Looking for a more personalized salary report? You can use CutShort’s Salary Calculator. Unlike this report which is a snapshot, this calculator will always show results based on real, live salaries based on the updated data from CutShort. Check out all the Full stack Developer jobs.